Mr. MPB and I, well, we both love spreadsheets and data. We both make spreadsheets, charts and analyze results. Sometimes it borders on obsessive – like when we bought our house, the spreadsheet that Mr. MPB made about what we could afford comfortably would put most financial analysts to shame. I love lists. Heck, I often write lists on my blog. I simply love organization and structure (although don’t look at my desk right now, I’m not even sure what’s going on with the chaotic mess directly around me). When we started the adoption process, I started an adoption cost spreadsheet. As we chose international open infant adoption we knew it was going to get costly. So, I started keeping receipts for everything – police background checks, medicals, home study invoices, USA agency fees, USA adoption lawyer fees, courier bills, fingerprinting, international money wire fees, profile book design fees, profile book printing fees, profile book reprinting fees, etc. Then one day, I stopped. First, I realized that none of these activities were refundable. Adoption is not quite like buying a new sweater or shoes that can be returned. So, keeping receipts was useless. Also, and more more importantly, we realized that knowing the exact cost, to the penny, of adopting our child, would not bring any good to anyone’s life. It is already giving me heart palpitations. It will cause Mr. MPB to have a nervous breakdown. And, it may even cause great distress for our child one day. What matters the most here is our future child. Clearly. Apparently at some point almost all adoptive children will ask their parents how much they paid for them. We didn’t pay for you. But, we did pay $71,234.56 USD in legal bills and social worker bills to to enable us to legally be a family. We didn’t pay for you, we paid quite a bit of money in legal bills and social worker bills to enable us to legally be a family. I honestly, don’t know how much we spent exactly, but we know it was worth every penny! And of course if I create a spread sheet, what if our child found it one day?! I’d be heart broken that they knew that number and we weren’t there to talk to them about it. And so, while it goes against everything in my logical and pragmatic brain, I’m not counting every penny. I will keep the final payment receipt in order to get our tax credit, but that’s it. Anything else is irrelevant and I just don’t see how it can bring good to our lives today or in the future. So, as for all the other pennies, as much as they are crushing us right now, in the long run, they just wont matter. Have you and your husband considered adopting a slightly older child. Maybe a toddler even?They are more at risk of being adopted than an infant. With the amount of money being spent, and the amount of time waiting. Sometimes families wait even up to ten years for an infant when there’s thousands of children waiting for their forever homes. I know you and your husband want to be parents badly which is understandable considering everything you both have tragic been through, and like many others just want the wait to be over with. Maybe adjusting the age would help the process and be a gift to a child that is not so likely to be adopted out. You’ve made me realize I should do a series of posts on why we’ve chosen what we have, at least for this adoption – open, infant and international. Each one of those components were very methodical choices for us, but I haven’t really spelled it out that well with any past post other then one where I did a comparison of local vs. international. And I think at that time I was comparing local open infant to international closed toddler. Anyways, we’ve both talked about doing a very different type of adoption if we did a second one. But, for this adoption we are pretty much locked into it now, because the system’s are easy (if not impossible) to move between. And honestly, we still want what we initially chose. But, to answer your specific question about age, we really wanted to do an open adoption which in almost all circumstances is infant. Also, we want to parent at least one child from the day they are born, we want to be part of their entire lives. We don’t want to miss a moment. And, we get a lot more medical background on an infant, here if you adopt older children you typically don’t have any history. I can understand all of the reasons above. I couldn’t imagine not being there for all of my children’s “first’s”. I wonder if most mothers want an open adoption when they are choosing to place their infant up. I would imagine yes? It’s such a different world in our life. We were asking for sperm and surely men are a lot more eager to give this up with no contact. Did you ever think about surrogacy? Hi. Just a minor point about some of the things you said. Firstly, a lot of adult adoptees find it triggering to refer to adoption or adoptees as “a gift”. Secondly, as an infertile there are a number of things that are considered triggering – particularly asking adoption and surrogacy (in the casual asking kind of way as it seems like you did). If someone is infertile or has suffered loss you can bet your backside that they’ve considered all the options. I’m not trying to tell you off or anything so sorry if this comes across negative – I don’t mean it to be. I just thought you would want to know that asking about things in that way can be considered quite upsetting to some people. If you think about it, it’s kind of strange to ask (or imply you are asking) people for justification around the way they are building their family. As someone who’s both infertile and adopted you managed to touch on a lot of trigger points in your posts! I personally find it quite odd that there’s so many people interested in only adopting an infant when there’s sooooooo many children waiting patiently to be adopted. It wasn’t an attack or meant to be. If it offended you I do apologize dearly. My mother in law to whom I am very close with was adopted. I was practically an orphan and find it heartbreaking that no one wants a grown child. I have also undergone my own invasive fertility treatments to achieve children. Adoption was on our list, and still is when our children get a little older. I find it baffling that a lot of people will wait ten years or more for a baby, when there’s so many children sitting waiting patiently for a home. I personally think being on a public blog we can’t be offended by things and questions people may ask. You are writing to a broad range of people with all different walks of life. I have witnessed first hand that children a little older don’t get adopted out. It’s sad to see. It’s even sadder to see these two waiting to long to achieve a family that they well deserve. I agree with you that if you put yourself out there in the blog world then you expect to get comments. I just thought that judging by your username it might be something you’re interested in… For example, I’m sure that if you’re gay then you get some preconceived ideas / judgements / expectations that you find less pleasant than others. I have not been blogging that long but I’ve been around long enough to notice there are certain things that certain groups find triggering or upsetting or offensive, so if I don’t wish to upset them then I try not to say them. It was genuinely an attempt to let you know as I think a lot of people who were not adopted/infertile don’t understand how things they say make those people feel. And anyway, it’s just a bit glib, right, to say “adoption was on your list” because that implies it wasn’t your first choice. So you might be able to understand why people would want a baby. I was adopted and I still understand why people might want their own biological child in preference to anything more invasive / difficult / costly / sad for the (adopted) child. The point is, saying “Why don’t you just adopt an older child?” is kind of not something that can be answered in one comment, like MPB said, and it’s also not something I’d ever dream of asking a friend (even though I have friends who have)… It’s kind of a bit intrusive – but I guess that’s the internet for you! 🙂 Anyway, all I was saying is I’m not having a go – I was just trying to explain how some people (maybe not MPB) might feel when they get terminology like this! I’m happy for you that you got to have your family! Nara and lifeasagaymom, I just checked out your conversation and I have to say I really enjoyed reading it. Knowing both of you, I assumed it was respectful on both sides and I really thought it was a great. (hopefully I’m not wrong with this). Anyways, when I have time to sit down and write (which is not today thanks to work) I think I am going to a do a series of posts on why we chose international, why we chose infant, we we chose open, etc. I think adoption, like any alternative family building, involves so many calculated decisions and I’m happy to share and educate on the process. Often times the process is either A or B, but not A and B simultaneously. For example, here you basically cannot chose to adopt an older child and have an open adoption – those systems are completely separate. The system does not appear to be built for flexibility, probably in part because it’s a government system which seem to stringent just because of the red tape, but also because I think they want adoptive parents to be very clear in what they want and can handle to help create successful matches. (I of course do not know this, but it’s my speculation). Well you already know I do look forward to reading the series. I love all of your postings to date. I was never given the chance of being adopted by a family and still do not have a concrete family to date, and I really do get both sides of the situation. Maybe it was intrusive for me to ask in the way I did. I wasn’t asking to offend, it was more out of curiosity. I can see the triggers some may point out. I get why many people do want infants, if we were going to resort to adoption for our “first” it would have probably been an infant or toddler. I totally get wanting to be there for all f the first’s and the desire for an open adoption which I’m not familiar with in itself because we were fortunate enough to not have to resort to that. So do educate me! I’m glad to read the posts. Another view: As someone who was adopted as a baby, it never bothered me to know that my parents paid money. I knew it wasn’t for me – it was a small amount for admin (it wasn’t the industry it is now). We even used to joke about it that my younger adopted sibling “cost” more due to inflation! As an adult it’s a little more complex but basically what I want to know is that I wasn’t stolen and that my birth parents weren’t coerced. It comforts me to know I came from a charity so that admin fee couldn’t have covered very much (I know the amount and it’s less than I spend on a night out). I wouldn’t want to think my parents were working out some ROI but equally it doesn’t bother me that there were costs involved. As a child I wanted to feel wanted, and the fact that there was a tangible effort to get me did make me feel wanted. Ha. Well I’m not sure people who know me IRL would say I’m balanced exactly, but I’ll take it! One thing I’d say: Any parent bio or otherwise could work out the cost to raise that child, if they’re so inclined. It reportedly costs £200k or something to raise a child and I think when you consider it like that then the cost of adoption or infertility treatments is just a part of it. As I said, no adult adopted person wants to think they were “bought” or feel like they’re a commodity. (Well, I don’t mind that much but I’m funny like that.) I think it speaks to the amount of effort you’ve gone through and the due diligence etc – I consider those admin costs just like if you had to get your child medical treatment as a baby, or something like that. I think the difference is that people who are adopting or undergoing treatment have to count the cost and watch the pennies before they have the child. Whereas it’s easier not to think about it if it “just happens”. Once you have the child then I’m sure it’s just like any other family member who gets added to your budget and expenses! Confession: I’ve done this. I know exactly how much it cost to create and keep Chick alive from the moment he was a few cells old to when he was discharged from the NICU. Sometimes I look at him and think “It cost $XYZ to get you here.” It’s a number that would boggle the mind. I guess what I’m saying is that what you pay doesn’t matter. Knowing the number– big or small– doesn’t matter. Because once you see this tiny human who loves you and needs you, it erases all spreadsheets. So, it makes total sense that you’d also be able to count every penny. I am always amazed at how much medical things cost in the US, and it boggles my mind. Heck, I still remember how much our one appointment and blood tests cost us – worth every penny, but still absurd! It would KILL me to stop counting… but I think it just has to be done at some point. I’m proud of you! I think it’s great that you’ve let go of that control because you’re right, it really means nothing in the end. 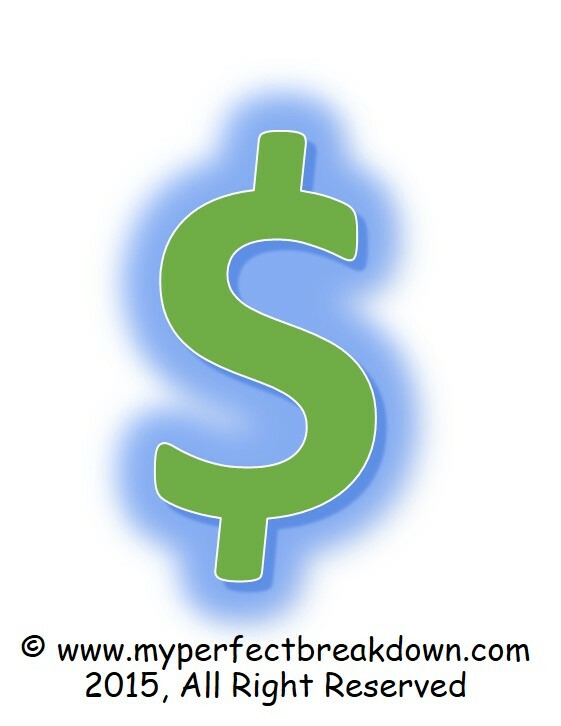 I like not being able to give your child a dollar amount later on – much healthier! It is killing me to not be updating our spreadsheet. But, I know it wont change anything anyways. And I realized isn’t helpful for me today and probably not for our child one day either. Clearly we will always be able to ball-park guestimate the total dallar figure, and that’s good enough. Being so organized pays off. You’re even organized about how to not be quite so organized! LOL but in all seriousness it’s a great plan. We try not to focus too much on the money, because it will make you have a heart attack and at the end of the day, it’s worth every penny!! That’s exactly what started my need to stop – the number was freaking scary and it just keeps climbing. And then my realization that a child should never know that number made me realize it was best for everyone if I stopped itemizing it all to the penny. I hope we are both on our paths to our forever babies!! It takes my breath away how much adoption costs. I often worry/wonder about what the girls I gave birth to via surrogacy will think about the money. I was given money for maternity clothes & medical expenses. I hope to the good gods that they never feel bought and paid for. Thanks to your good parenting & love, your child will know it wasn’t them you were paying for, but all of the administrative fees to help you find your way to them. Well, to be fair, local adoption is a lot cheaper. But, for many reasons we knew we couldn’t do a local adoption, so we are stuck paying these insane bills now. But, still it’s frustrating! I still find it disturbing that you have bills that total these amounts simply to have a family. I mean, I know that adoption isn’t the only expensive family growing method…IVF, IUI, surrogacy, etc can also be quite costly, especially if people get into multiple treatments. It’s just so disheartening that it is so financially difficult for IF couples to grow their family. I think this is great! If we did not need to know for tax purposes I would not keep track of our IVF spending. I think you have the right idea and I agree that we can’t put a price tag on our kids and we don’t ever want them to think about us “paying” for them.